City governments and municipalities alike are moving from manual systems, that have been inefficiently handling inventory to automated inventory management systems that have saved thousands of taxpayer dollars. Here are just a few of the reasons why city governments have started using industrial vending machines and smart locker systems. With busy workdays and emergencies to handle, city personnel may not notice that items sitting on the shelf have become obsolete or expire. When an item is not readily available, emergency runs need to be made. This costs more than just the price of an item, but also time. Municipalities have procedures in place for purchasing supplies or equipment and following protocol in an emergency situation can slow resolution. With an inventory vending machine, municipalities save on overhead costs, while emergency runs become few and far between. 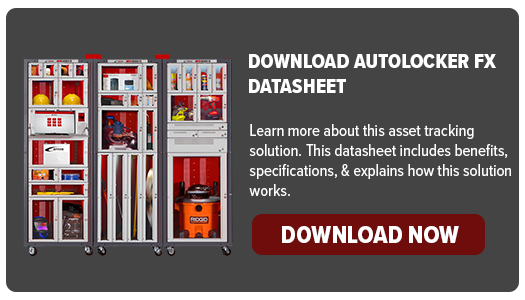 AutoCrib Software uses complex algorithms to calculate how much stock is required in your storeroom so you never have too much or too little. The system can also automatically reorder when stock hits minimum quantity to eliminate stock-outs. By eliminating both over ordering of seldom used items and stock outs of high use items, AutoCrib systems provide cities the means to reduce waste and eliminate inefficiencies. City governments operate during normal business hours, so when city personnel need to access materials or tools outside of the supply room hours, they are often left out in the cold. Store’s hours are limiting and in case of emergencies it can be quite costly. Inventory management systems have 24/7 access. For example, when the Department of Transportation needs to fix a traffic light at 9 P.M. when the store room is closed, they simply enter their ID into the vending machine and pull the necessary tools or supplies they need to complete the job. By allowing for 24/7 access, municipalities can heed to any call no matter the time of day. City governments are made up of many different departments, tasked with very different responsibilities. Inventory management systems have the capability to address the needs of every department. A single AutoCrib system can vend safety glasses, high visibility vests, and first aid kits for Environmental Health and Safety as well as hard hats, spill kits, and shovels for the Solid Waste Division. Manual systems rarely enforce discipline. With the use of AutoCrib’s access control and employee verification to issue the items or tools they need, accountability is restored. Employees can access equipment that will help them get their tasks completed while keeping items that they don’t need secure. By enforcing accountability, employees in each department become conscious of the costs and become more responsible with tools and supplies that they use. Tracking provides city government supervisors transparency and allows them to make more well-informed decisions. By tracking personal usage, you can compare what’s actually happening from shift-to-shift or department-to-department. Cities are able to keep track of expensive tools such as chainsaws, drills, and leak detection equipment. These expensive tools are often used across multiple departments, so it is important to know who used it, when it was issued, and when it was returned back to the system. Departments have access to over 200 standard reports that can be sent directly to a supervisor’s email or accessed as needed. When you utilize tracking, you know what is happening with your inventory and can eliminate the need to replace expensive tools. Manual systems are wasteful and inaccurate. Municipalities and city governments with implemented industrial vending systems have put taxpayer dollars to better use while increasing the service level to their taxpayers.